Anyone tried putting on the clear back cover (came together in the package) yet? How is it? Does it offer sufficient protection from drops? So far no issues for me. I am still waiting for my lazada voucher. Last edited by tellim; 23-11-2018 at 12:38 PM.. Cool. So it's $150 credit in Lazada wallet or it's one time use in the voucher section? Input code at voucher section. Last edited by tellim; 24-11-2018 at 01:57 AM..
Just saw in my email that I received mine too. why i cannot find A8 in starhub shops? there is only A7 and the newly launched A9. why is there no A8*? have you enquire with starhub shop staff? A9 will be launch tomorrow. $728. Using SD660 processor (I think). Interested. 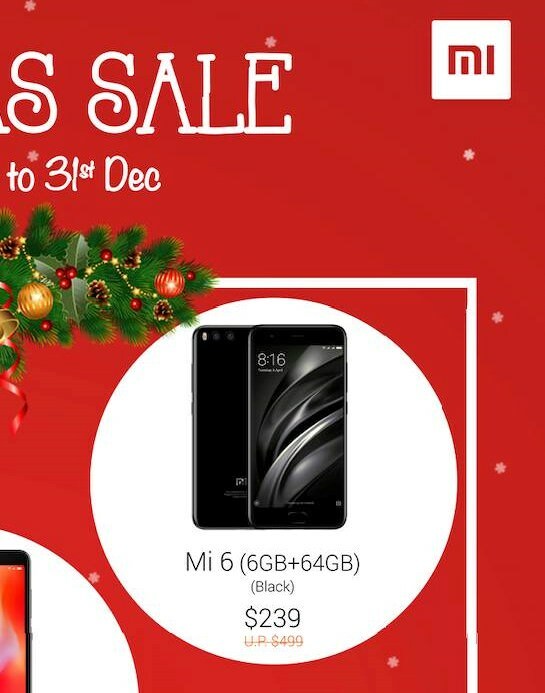 Where to get this mi 6.